I’m having a difficult time keeping up with Sure Electronics. Just as I have managed to have a listen to their recent 2*100 watt board, Sure announces a 4*100 Watt amplifier. 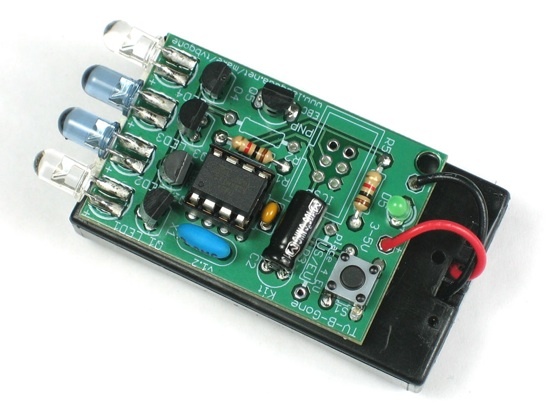 Based on the same components, a whopping 4 channels are available. Perfect for bi-amping a stereo pair of speakers this looks promising. Sure have attempted something similar to this in the past, with some Diyers complaining of high background noise. Well we will just have to see how they have got on. Improvements are evident in their stereo design and Sure seem to be learning from their success and failures. When will we get to hear this new amplifier? Well I have one of these units bagged and I await delivery.. So soon I will be able to tell you if this design is as promising as it looks. Over at DiyAudioProjects Mark Houston has given his impressions on the Jan6418 Valve Pre-amplifier/Headphone amplifier kit that was supplied to him by Oatley Electronics in Australia. Their kit the K272 Stereo Tube Preamplifier – Headphone Driver kit is a tiny low power tube based kit. At only 27AUD its cheap. The kit uses Jan6418 pentode valves but utilises them as triodes. I have not seen a valve pre-amp at such a low price before. I am tempted to give it a try. Skip over to DiyAudioProjects to see what Mark thought of the kit plus a couple of his implementations, the jewellery box pre-amp is my favourite. I love to see computer equipment hacked, and have a keen interest in Audio. Therefore give me a piece of audio equipment designed for use with a PC modified in some way and my interests are covered on both sides. That is what Patrick has done. Having some issues with a volume pot in these powered monitors spurred Patrick on to convert them to non-active speakers. To do so Patrick decided to use the existing phono connections to be his speaker inputs. This is not something that I would choose to do, even cheap binding posts would allow for a better electrical connection. However we work with what we have got, so credit to him for diving in to change things around. Of course this type of mass market PC speaker is never going to set your ears alight, even with an external amplifier but I they are shielded, and a practical design for what they are designed for. Dennis has detailed an interesting little Audio Hack that he has performed upon an IPod Shuffle. Noticing that the control pads were the same on his shuffle and his apple remote control, he investigated and discovered that he could combine the two. An interesting side effect of this is that the play/pause button will switch off one playback on his system and start playing the shuffle. I reckon that Apple should take a good look at this hack. Integrating the two products offers real benefits to the user. I reported recently that Adafruit were selling off TV-B-Gone Kits at discounted rates in preparation for the the release of a revised kit, well I got news today that they have now released the New TV-B-Gone kits. Previously European customers would receive a kit programmed to North American TV’s. The Attiny processors on them can be reprogrammed to use UK/European codes using a USB programmer. However the latest revision has broader appeal being pre-programmed to most regions worldwide. This means that you can purchase the kit alone if you live elsewhere. It’s a great kit, easy to build and fun to use. A second competition is on at Audioholics Forums this week, this time for a set of monitor speakers from Ram Electronics. Again I can’t enter this as it is for N.Americans (you guys and girls get all the fun). But I know a lot of my readers are. Got to be in it to win it I guess so head over there and see if this one is for you…. Although I am not what you would call active across at the Audioholics forum I do keep an eye on them. I spotted a couple of competitions on them, and what can I say I love to enter competitions! Unfortunately for me this one is only open to N.America so I can’t enter, but perhaps you can. The prize is a set of outdoor speakers from Intimus. I don’t know too much about them, but outdoor speakers are outdoor speakers. If you want to share the joy of some music while you entertain outdoors these may be for you. Justblair’ Audio and Electronics Pages First Birthday! It’s hard for me to believe, but the website is one year old today. I would have missed it myself, had it not been for the web hosting company extracting the fees from my account. And what a year it has been, the site has had over 45,000 unique visitors in that time and 100,s of thousands of page views. Not a bad first year I feel. I am also proud to say that the site has had a couple of very popular stories. I am looking forward to building upon the library of articles on the site over the coming year and hopefully increasing the traffic to the site even more. I would also like to take a few moments to thank those that have contributed some brilliant articles to the site. I have found them fascinating and I know that the readers appreciated them also. If anyone wishes to contribute, please feel free to contact me here. Don’t worry too much about your writing skills, Content is king, everything else can be finessed. Most of all I would like to thank everyone who has visited and been in touch. I hope that every visitor takes something away with them that has been useful to them. So please keep coming back, please keep making comments and please keep adding articles. It’s been a highly enjoyable year for me so one more thank you to everybody! !